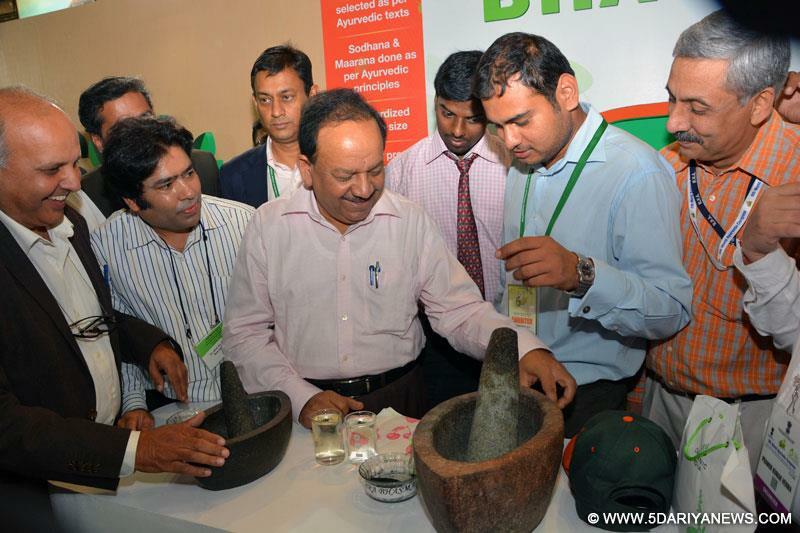 India will soon have an exclusive drug control department to facilitate testing of Ayurvedic drugs, Health Minister Harsh Vardhan said here Thursday.The department will look after research and development, monitor quality control and standardise the manufacturing of medicinal products of Ayurveda and other traditional Indian treatment systems, the health minister announced at the inauguration of the Arogya Expo organised alongside the 6th World Ayurveda Congress here.He said that under the newly-created AYUSH (Ayurveda, Yoga and Naturopathy, Unani, Siddha and Homeopathy) mission, the government would provide funding support to states wanting to set up manufacturing facilities and would create manpower for the traditional medicine industry. "The chief objective of the mission is to encourage integration of AYUSH with modern medicine and create a holistic healthcare system that can be emulated globally and which will achieve the universal goal of health for all," he said.Harsh Vardhan said the government, which has allocated Rs.5,000 crore to the AYUSH Mission in 12th five-year plan, is keen to partner with states in creating state-of-the-art research and development facilities, drug testing laboratories and herbal gardens that will help meet growing industry and market demand for quality raw material and products. "People across the world are talking about integration and holistic development. Yoga will be one of the greatest healers of the 21st century. That is the reason we have established the AYUSH mission," he said, adding: "We are trying to promote all Indian systems of medicine on a big scale. "The aim of the 6th World Ayurveda Congress (WAC) and Arogya Expo is integrating Ayurveda with the mainstream public health system and propagating it globally as a safe and cost-efficient health care alternative.The congress is being organised by the department of AYUSH, ministry of health and family welfare, in collaboration with the World Ayurveda Foundation (WAF) and the Delhi government.